Bharatpur is a city in central southern part of Nepal and main airport for Chitwan National Park. Bharatpur is situated just 20 minutes flight from Kathmandu. The climate of Bharatpur is warm and Temperate. The average temperature is 24.7°C.You too can reach Bharatpur in a microbus or a tourist bus but it is much of a hustle and bustle and it will take you nearly 5 to 6 hrs. So flying is the best option. Plan Nepal Travel and tours pvt. ltd operate Kathmandu to Bharatpur Flight Booking. 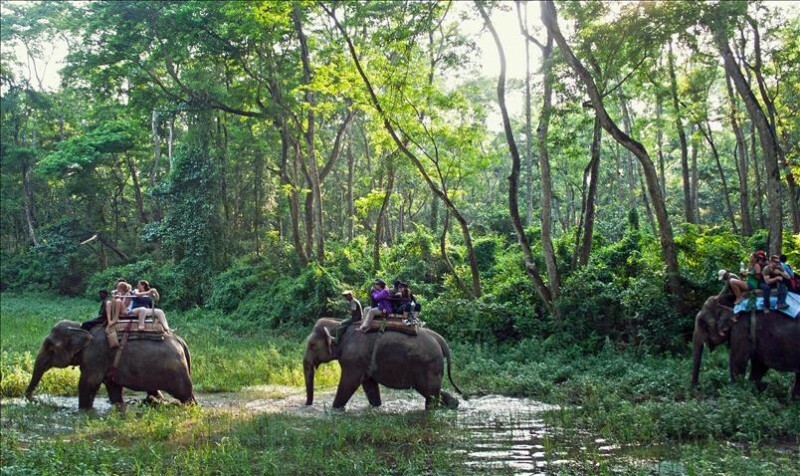 kathmandu Bharatpur flight is the convenient gateway to Chitwan National Park. we offer Chitwan flight ticket at best price. There are several Domestic Airlines operating, Buddha air and Yeti Airlines operate daily kathmandu Bharatpur flight or vice versa. You can book the fligh ticket hrough our online booking system. All you need to do is select the flight in which you want to go from options below and press the book icon on adjacent to it. Fill the form and submit it. Once the booking is confirmed we will immediately send you the e-ticket of flight by email. we offer you best airfare deal on kathmandu Bharatpur flight ticket and handle complications in case of cancellation of flight by reschedule of flight time and date on passenger request or refund the airfare amount. Only 20 kg of baggage per person is allowed inflight from Bharatpur to Kathmandu or vice versa. However, passenger can take more than 20 kg of baggage by paying around US$1 per 1 kg of extra baggage.